Nannypalooza celebrates National Nanny Training Day (April 16th, 2016) to recognize the needs of young children and to raise awareness of the positive correlation between nanny training and quality care. This national initiative is part of Week of the Young Child, an annual celebration sponsored by the National Association for the Education of Young Children. On Saturday, April 16th over 1,500 nannies in 32 cities will gather in their local communities at training events designed to meet their unique needs. While professional development is required is other childcare settings, the informal nature of nanny care often leads parents and caregivers to believe that ongoing training isn’t necessary for nannies. However early childhood researchers such as Dr. Laura Berk, retired Professor at Illinois State University Psychology Department, tell us a different story. Her research shows that child care providers become skilled professionals when hands-on childcare experience is combined with training and education. Events are offering training on such topics as positive discipline, nutrition, car seat safety and more. For more information to find an event near you, nannies should visit www.nannypalooza.com. eNannySource.com is pleased to announce their newly-formed partnership with YES Prep Public Schools. YES Prep will be offering eNannySource’s online child care service as a new, free benefit for all of their employees to help each of them balance their career and family life. YES Prep is an open-enrollment public charter school system that’s been educating students from low-income and disadvantaged areas throughout Houston since 1998. They’re currently educating 9,000 students at their 13 Houston schools and will be opening two new schools in Houston this fall. In many of the communities they serve, only half of all students graduate high school, and less than 10% are expected to graduate from college. The goal of YES Prep goes beyond every one of their students graduating from high school; it extends to each one of them earning a four-year college degree. They even continue to support their alumni throughout their college careers. eNannySource.com began connecting families with in-home child care providers in 1994. Since their beginning, eNannySource has helped more than 500,000 families find the care they need, whether they’re seeking live-in/live-out nannies, night nannies, nanny/housekeepers, babysitters, newborn specialists, or corporate backup care. eNannySource recently began partnering with companies across the country to offer their online child care service as an employee benefit. The focus of the benefit is on backup care, so employees no longer need to miss work for any child care related issue. However, a partnership with eNannySource grants each employee full, unlimited access to their service. If you’re a nonprofit organization or know of one that you think will benefit from our service, email Travis at travis@enannysource.com and talk to him about partnering with eNannySource.com to offer corporate backup care to your employees and volunteers at no charge to your organization. Announcing eNannySource.com’s new partnership with KIPP Houston Public Schools, KIPP San Antonio, and KIPP Dallas-Fort Worth to provide corporate care to all of their employees at no charge to the KIPP Foundation. Focusing on educating students from low-income, underserved communities, the KIPP Foundation is a nonprofit organization that has built a network of elementary, middle, and high schools offering free, open-enrollment to students across the nation. KIPP faculty and staff are unified by the goal of equipping their students with the knowledge and skills they need to make it all the way through college and beyond. “KIPP teachers and staff devote so much of themselves to helping and educating kids from our community here in Houston and across the country. I’m proud to partner with KIPP Houston, San Antonio, and DFW to do all we can to help them balance their demanding careers and their family lives,” said Travis King, the director of strategic partnerships at eNannySource.com. 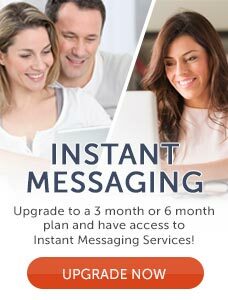 eNannySource.com is an online child care service that, since 1994, has helped more than 500,000 families nationwide find the caregivers they need, including nannies, babysitters, newborn specialists, backup care, and more. eNannySource.com recently began partnering with businesses nationwide to offer backup care as a new employee benefit to help businesses give the work-life balance support their employees need. When offered as a benefit, employers see a significant decrease in absenteeism for childcare related issues — such as a child being too sick to go to school or daycare — and are better able to maintain company-wide productivity. Employees are able to find, contact, run background checks, and hire caregivers for their children, allowing employees to go to work knowing their children are in good hands. “Nonprofit organizations like KIPP work to improve their communities. We at eNannySource.com want to help nonprofits by offering our services to their organizations free of charge,” said Eric Mullins, chief operating officer at eNannySource.com. If you are a nonprofit organization or know of one that you think will benefit from our service, email Travis at travis@enannysource.com and talk to him about partnering with eNannySource.com to offer corporate care to your employees and volunteers at no charge to your organization. Pets can be a wonderful addition to a family if everyone in the family is ready to take on the responsibility of caring for one. Before buying your family’s first pet, read through these 100 blogs for things you should take into consideration and tips for successfully bringing a pet into the home. Kids may say they want a pet, but they don’t have a grasp on how difficult it is to actually care for one. Consider how much your child can really help with the pet before adding one to the family. These 10 sites go through things you should consider prior to getting a pet for your child. Age six is about right for a pet. Cat Behavior Associates explains that typically six is an appropriate age to add a pet to the household, though it does depend on the child. Wait until your baby is 3 to 4 to add a pet. Baby Center urges new parents to wait until the baby is 3 to 4 years old before bringing a new pet into the family. Almost any age will work to get a dog. Yahoo Voices suggests getting an adult dog for kids under the age of six and knowing that the adult will be responsible for caring for the dog. Assess your child’s behavior when deciding on a pet. She Knows talked to certified dog trainer Amy Robinson, who explained that if your child is responsible with school work and is a self-starter then he may be ready for a pet. Pets can teach children many things. Cesar’s Way explains that dogs can teach kids different things, like the necessity of exercise and loyalty. Bigger dogs might be better for toddlers. Mom Me says that because toddlers are rambunctious a small dog may get hurt by one. A larger dog may be better able to withstand a toddler’s energy. Wait until your child asks to get a pet. Wikihow provides steps to determine when a child is ready to get a pet and suggests allowing your child to ask for a pet before bringing it up. Introduce your child to a friend’s pets first. If you have a child younger than six and want to get a pet, Pets for Life suggests letting the child spend time with a friend’s well-behaved pet first to see how things go. Assess your child’s behavior. Shreveport Times explains that kids that run around and yell and scream can be very scary for a dog and cause the dog to be nervous or bite. Judge the maturity of your child before buying a pet. Start slowly by getting a goldfish or hamster. Parent Further suggests seeing how a child does with a smaller pet before getting a dog or cat. There are hundreds of different kinds of pets that are readily available for the public to purchase. Different animals are better suited for some people and households than others. These 10 posts will help you narrow down which type of pet is right for you. Some pets can be dangerous, even if you buy them at a pet store. Kids Health says that reptiles can transmit salmonella, dogs and cats can spread infections, and ferrets bite, so consider each pet carefully before purchasing. Fish may make the perfect “starter” pet for your child. Healthline suggests Beta fish as a simple starter fish. Things to think about before getting a bird. Kids should be at least 12 before being the sole caretaker of a pet bird, according to Bird Channel. It is important that kids have at least an hour or two a day to spend with the bird and that money be available to take the bird to the vet if necessary. Low maintenance pets like gerbils, hamsters or mice can be a smart place to start. PBS Kids suggests assessing the amount of time you have to take care of a pet to determine which pet to bring home. Rats are trainable and may make the perfect first pet. Wise Geek explains that rats are quite smart and clean if you get them from a good pet store. A parakeet or cockatiel may be appropriate as a starter pet. These two types are recommended for children by Birds because they can be trained to talk and like being handled. Think long and hard before getting a guinea pig. Cavy Spirit says that guinea pigs need a large cage (about 10 ½ square feet) and that they are more comfortable with adults. An American Shorthair cat may be a smart choice for kids. Catster explains that you should choose a breed that doesn’t mind loud noises and doesn’t bite when handled. If your child has a mild allergy to pets, there are options. Animal Planet suggests a short-haired cat like Devon Rex that won’t shed as much as a Bichon Frises. A Maltese might be the perfect dog for your family. This breed does not shed and is gentle and comfortable with kids, says Family Education. Having an allergy doesn’t automatically disqualify you from pet ownership. With the help of these 10 blogs, you can live happily and healthily with a pet in your home, regardless of allergies. Having allergies doesn’t mean you can’t have pets. Prosense Pet suggests different things you can do to reduce pet dander in your home. Choose a cold blooded pet like a reptile. According to Health, these types of pets do not produce dander and therefore do not cause allergic reactions. Use an air filtration system in your home to pull out the dust and dander. Humane Society explains that keeping the air cleaner will help an allergy sufferer live peacefully with a pet. Clean your home frequently. The Asthma and Allergy Foundation of America suggests removing carpets from your home and cleaning and dusting often to keep the dander out. Keep the pet out of your bedroom. Health: How Stuff Works says that you spend a third of your life in your bedroom, so it is best to try to keep it dander-free. Think about adding a probiotic to your daily diet. According to Healthy Pets, some people have been able to boost their immune systems and reduce allergy symptoms by taking a probiotic. Brush your cat outside. If you have a safe and enclosed area, Petfinder advises that you let the cat roam around outside to let the wind blow the dander away. Brushing your pet frequently can drastically reduce allergens. Hill’s Pet explains that brushing your pet can remove the dander that causes allergic reactions. Choose furniture that is less likely to hold dander. Upholstered furniture will hold on to dander and should be minimized and/or vacuumed frequently, says the American College of Allergy, Asthma and Immunology. Give your pet weekly baths. Harvard Healthy Publications advises frequent baths to get rid of the dander on your pet that causes allergic reactions. Before buying a pet, consider what the type of animal you’re purchasing will need in terms of pet care. Not sure where to start? Read through these 10 posts for helpful tips. Pets need plenty of water. The ASPCA notes that water makes up to 60 to 70% of an adult pet’s body weight. The nutrients consumed through water are vital for life. Create a pet survival kit. In the event of an emergency, make sure that you have a pet survival kit that you can grab in a hurry. This kit should include vet records, food and bottled water at a minimum. Ready goes through what you’ll need. Dogs need love and nurturing. About Dogs explains that one of a dog’s basic needs is to have structure and discipline, so make training a priority. Pets need plenty of exercise. The Anti-Cruelty Society urges pet owners to make sure that their pets get plenty of exercise so that they stay fit and happy. A bored dog can be destructive. You need to make sure that your pet is well fed. The World Society for the Protection of Animals lists many needs a pet has, with the main one being adequate meals. Adequate medical care. The Humane Society suggests checking a veterinary college for low cost treatments if you are unable to pay for medical care for your pet. Make sure the housing is appropriate for the pet. Wikihow details how to create the correct environment for keeping a hedgehog. Be sure that your pet has the proper vaccinations. Pet Care Naturally explains the importance of shots for your pet’s health and long-term wellness. Temperature is important for the comfort of your pet. Petco urges pet owners of reptiles to get a heat lamp to keep the cage warm enough. Hedgehogs also like a warm environment. Before adopting a pet, research its temperature needs. Provide a den for your pet. According to Best Friends, it is in a dogs DNA to be a den animal. Crates can provide a safe haven, so find the right crate for your pet. Pets can be very expensive, so you need to price out what you’re willing to spend up front and over the lifespan of your pet before purchasing one. Use these 10 sites to help you assess probable costs. Pet insurance may be money well spent if something happens to your pet. Veterinary Pet Insurance explains what the insurance covers and how much it will cost for your pet. Costs for pets extend beyond food and toys. The New York Times quotes $875/year for food, medical expenses, toys and a few related expenses for a dog. Cats run about $670. Plan on spending extra money if your dog will need regular grooming. Things like grooming, pet insurance and dog walking can increase the money you spend on your pet by over $7000/year, says Kiplinger. Cats tend to be cheaper. Spaying a cat could run $100 to $200 dollars according to Catster, but often it’s included in your adoption fee if you go through a shelter. A reptile could cost $4900 to $9000 over their lifetime. Forbes explains that reptiles need a lot of equipment to create the environment they need to live a long and happy life. Be sure to set aside funds for your pet in case of emergency. If you lose your job or run into other monetary issues, having a plan can ensure that you’re still able to care for your pet, explains Mint. Food for a cat will average about $115 annually. Investopedia describes how the size of a dog can raise or lower the food costs whereas food for a cat is pretty consistent. Initial costs of getting a pet can vary widely. The Finance Geek estimates that purebred dogs can range from $500 to $2000, while a mutt can range from $40 to $400. Compare prices at different places for vaccines. Daily Finance recommends shopping around before you get your pets immunized. Yearly costs to own and care for a bird are $200. See Debt Run compares yearly costs between fish, rabbits, birds, cats, medium sized dogs and small mammals. Depending on the lifespan of the pet, this can really add up. While kids may promise to the moon and back that they’ll care for a pet, this rarely ends up happening. To ensure that everyone is invested in the pet’s care, come up with different pet-related chores for each family member. These 10 posts will help you get started. Create a list of pet-related chores. PBS Kids lists the tasks that are involved with caring for a pet. Write these tasks on a chart and assign each to a member of the family. Students can get an idea of what caring for a pet entails at school. Some classrooms have class pets that students take turns feeding and caring for, says Pets in the Classroom. 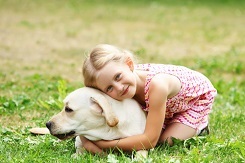 Learn what pet care tasks are appropriate for the age of your child. Kenney Myers urges caregivers to be aware of which tasks kids are ready to do for their pet and which ones are best left to an adult. Younger children can pick up pet droppings with gloves. Wikihow shares that younger kids can help by cleaning up the yard after their pet. Plan on the lion’s share of the pet’s care to fall to the adults. Speaking for Spot explains that young children can contribute to the pet’s care, but even older kids should not be expected to be the only person caring for the pet. Children as young as three can help fill the food bowl. She Knows points out the many benefits of kids having a pet, but urges adults to only give kids chores they are capable of doing. Very young children can call the pet when it’s time to eat. Start small with pet caring tasks and then move up as the child gets older, says Petco. Fish require minimal care. Clean Organized Family Home explains that fish should be fed once or twice a day and the water should be changed weekly. Set a positive example for the proper way to care for a pet. Children’s Health Network suggests showing your child how to take care of the pet and gradually giving him different pet-related responsibilities. Put older kids in charge of cleaning the litter box. Petcyclopedia explains the importance of proper hand washing after your child cleans out the litter box. When shopping for pets, it’s important to consider the home environment you can provide. These 10 articles will give you an idea of what kind of pet may match your home and lifestyle. You can have a dog in an apartment. It’s important that you match the dog to your home. Larger dogs need more space, whereas smaller dogs may be well-suited for an apartment, says Petco. Match a new cat to any existing animals in the home. Simply Cats provides a quiz you can take to determine which type of cat would be a good match for you and your home. Take a survey to figure out which dog best suits you and your home. Select Smart takes some of the guess work out of the decision making process by matching your needs to the personality of different pets. Pick up electrical cords to avoid the puppy chewing them. Dogster explains some of the things you’ll want to do to puppy-proof your home. Decide on house rules for the puppy/dog before you bring it home. Whole Dog Journal advises pet owners to decide on rules before the new pet comes home so that everyone in the family knows what to expect. Crawl around on all fours to pick up everything that is at puppy height. Puppytropolis urges new pet owners to get everything picked up that the puppy could reach to avoid damage to property or injury to the puppy. Secure the trash lid or put the trash away. Dogs may be tempted to dump the trash and eat it if it is available, says For Dummies, so it’s best to remove temptation. Check your fence for holes. Raising Spot explains that puppies will look for escape routes if they are out in the yard alone. Lock lower cabinets with baby locks. Bakers Complete suggests locking up chemicals and other cupboards that may have harmful items them. Remove any poisonous plants from the home and lift the others. It’s a smart idea to get all plants out of the reach of your puppy to avoid possible stomach upset or poisoning, says Healthy Pets. Different pets require different supplies, so you’ll want to gather up a list of things you need before you purchase your pet. For ideas on what you may need, browse through these 10 posts. A 10-gallon fish tank with a lid is perfect for a hamster. Animals Pawnation explains that the tank provides access to the pet without fear of it escaping. A rabbit requires a solid surface to stand on. You can keep a rabbit in a wire cage, but there needs to be a place where the rabbit can get off the wire bottom, explains Buzzle. Cats are often happier with a scratching post. The Examiner notes that the scratching post will make the cat more comfortable, but it is not a necessity like food. Dogs require a lot of supplies. Pet Smart lists food and water dishes, puppy food, a collar, leash, pet bed and crate as just some of the many items a dog needs. Turtles need at least a 40-gallon tank per turtle. Pet Supplies Plus explains that turtles need both wet and dry areas in their environment as well as a way to make sure that the temperature is warm enough and the air is humid enough. Ferrets like a sleeping hammock or sack. Small Animal Channel lists many things that ferrets need and explains that it’s best to keep the ferret in a cage because it’s almost impossible to ferret-proof the whole house. Create a hiding area in a large cage for your hedgehog. Hedgehog Care goes through the supplies needed if you want a hedgehog as a pet. Birds need vitamins and supplements. According to Bird Tricks, you should pick up supplements for your bird when you pick up the food and other supplies. Bearded dragons need heat lamps. Bearded dragons make fun reptilian pets because you can take them on walks with a harness and leash. They are sensitive to temperature, though, so you will need to buy a heat lamp for the tank, explains Dr. Foster Smith. Get a filtration system for your fish tank. While fish are among the cheapest of pets, there are extra costs to get your tank properly set up, describes Woman’s Day. It’s far easier to find reputable breeders these days than it was in the past, thanks largely to the Internet. If the local pet store isn’t meeting your pet needs, check out one of these 10 websites instead. If you are looking for a hedgehog, go to a reputable breeder. Millermeade Farm’s Critter Connection raises hedgehogs for pets. To buy specialized fish, turn to the internet. While many fish are available at pet stores, specialized fish or sea creatures can be found online at places like Live Aquaria. Depending on the type of snake, you may have to purchase it online. Some pet stores carry a few snakes, but many breeds can only be bought on sites like Reptiles and Critters. Exotic birds can be purchased through classified ads. Some birds can be purchased at the pet store, but depending on the bird you may want to look elsewhere, says Birds Now. Cats and kittens can be found locally. There are many cats that need to be adopted; find them using Adopt a Pet. Test drive being a dog owner by offering to be a foster family for a dog. Learn more about how to foster a dog at Foster Dogs. Shelters are overflowing with dogs, so consider adopting from one before buying from a breeder. The ASPCA has dogs of all ages and breeds, and many are often already potty trained and past the destructive puppy phase. Some dogs may only be available from a breeder. The American Kennel Club certifies reputable breeders, so look for the certification before buying a dog from a breeder. You may want to adopt a retired work dog. The Daily Puppy explains how to adopt a retired police dog. Consider a retired race dog. If you love greyhounds, you may want to look into the National Greyhound Adoption Program, which helps families adopt retired race dogs. While not always necessary, training is often an important component of bringing a pet into a home. These 10 sites look at some of the training you can provide for different pets. Potty training a puppy is probably the most challenging pet training. Cesar’s Way explains how to use your puppy’s natural tendencies to potty train him. Obedience training is important for dogs. The bigger the dog the more important the training. Dog Breed Info provides an explanation of how to train your dog and teach him several basic commands. Hand training a bird isn’t as hard as you may think. Trained Parrot describes how to train your parrot in many areas, including being able to hold it. You can train your hamster to use a litter box. Yahoo Voices explains how to train your hamster to use a litter box, which will make keeping the cage clean much simpler. Rats are intelligent creatures and you can teach them to fetch. American Fancy Rat and Mouse Association shares how to train your pet rat to fetch items, but explains that you should start with a rat that already comes when called and stands up on command. Train your ferret not to bite. Everything Ferret talks about a couple of ways to train your ferret to stop nipping and gives some helpful hints to help you determine why he is doing so in the first place. Housetrain your rabbit to use the litter box. My House Rabbit gives steps to follow to teach your rabbit how to use the litter box. Learn how to feed your bearded dragon by hand. Bearded Dragons describes what you need to do in order to train your lizard. Mice can be trained to run through a maze. Food may or may not be a priority for your mouse. If it is, you can train him to do simple mazes and tricks, says Pet Mice. Train your cat to stay off the counters and table. Vet Street says to cover your counters with foil or sticky tape to teach cats they aren’t allowed up there. Bottom line: pets can be a wonderful addition to the family if everyone in the home is ready to have one. Just because you have a bun in the oven doesn’t mean your daily walks or exercise routine have to cease to exist. In fact, exercise during pregnancy can be beneficial to both you and your baby. There are necessary precautions you’ll need to take, especially as your body continues to grow, but before you cut back on keeping your body fit, consider the benefits of a healthy exercise routine. According to the American College of Obstetricians and Gynecologists, pregnant women should participate in 30 minutes of moderate activity most days of the week during pregnancy as long as there are no medical complications. For women at a healthy pre-pregnancy weight, the target weight gain is usually 25 to 35 pounds, says Fruscione. Walking is an excellent form of non-impact exercise, especially for women who have not previously exercised prior to pregnancy, says Birgitta Lauren, pre and postnatal fitness and nutrition specialist and founder of Expecting Fitness, a resource for expectant moms. Not only does walking help decrease weight gain by burning calories and keeping the heart healthy, but the act of exercise and moving your body produces proteins that create metabolites, which decrease risks for all diseases, including gestational issues or diabetes, hypertension, preeclampsia and premature delivery, says Lauren. Another myth that exists is that walking during pregnancy makes you dilate more. Consistent exercise during pregnancy can help tone and prepare your muscles for labor and makes for an easier birthing process, says Fruscione. In general, if you are engaging in walking or low-impact exercise, your entire pregnancy process will be much smoother, says Lauren. “Exercise improves the likeliness of ‘on-time’ dilation and a more efficient dilation,” she says. When in doubt, always consult your physician, but know that the more you move your body, the healthier it may be for your baby. According to a study by Dr. James F. Clapp III at the Cleveland Health Center, exercise during pregnancy produces children that are healthier physically and mentally. As babies, they learn to do everything faster – from speaking to walking – than children from moms who exercised less or not at all, says Clapp. The study also concluded that these babies are happier and better behaved. Let’s face it. Toys are a germ factory. Your little one transports germs from one stuffed animal to the next on an hourly basis and, unfortunately, illnesses from shared toys result. You don’t have to launch a spring cleaning routine, though, to keep those toys free from germs and ensure your little one stays healthy. Simple tips to spruce up those treasured toys can keep your little one happy, safe and physically well. The risks of unclean toys are obvious. Germs are passed from that favorite teddy to the treasured toy train when children are simultaneously playing, sneezing, coughing and mouthing toys. Stuffed toys can pose an even greater risk, as they often pass on bed bugs and lice. 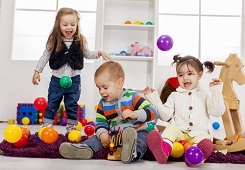 It’s no secret that your child can catch a cold or an illness when sharing toys with others. According to Leslie Reichert, cleaning coach and author of The Joy of Green Cleaning, the Board of Health recommends a diluted combination of bleach and water to clean toys. However, if you use bleach, you must let the bleach sit on the toy for 20 minutes and then rinse the toy. “You don’t want your children ingesting the bleach,” she says. Each toy, though, may require a different cleaning method. Reichert recommends the following approach when freeing your child’s toys from germs and dirt. Cloth Dolls: Fabric toys are difficult to clean, but should you want to try washing it, Reichert recommends a gentle laundry soap made from soap flaxes, baking soda and a touch of borax. “Place the doll in a lingerie bag and wash on a very gentle setting,” she says. Allow the cloth doll to air dry. You can also just spot wash the dirty areas with the same type of soap mixture, but make sure you dilute it and wipe it off with a microfiber cloth. If you just want to kill the dust mites, Reichert recommends placing the dry doll in the dryer inside a pillowcase. “Just let it toss for a couple minutes and it will come out dust mite free,” she says. Plastic Toys: To clean the inside of plastic toys, Reichert recommends using a mixture of hydrogen peroxide and rubbing alcohol. Put the mixture inside the toy and swish it around. The alcohol and peroxide will take care of the germs, she says. You can also put some plastic toys in the dishwasher. “You have to be careful they won’t melt or have the paint washed off, but the hot water will sanitize the toys,” says Reichert. 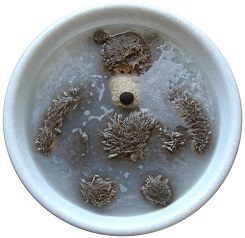 Large Teddy Bears or Stuffed Animals: You can spot wash your stuffed animals with simple soap and water. If something is really stained or ground in, use pure bar soap and a fingernail brush, recommends Reichert. Wet the brush and rub it on the bar of soap. Create a nice lather and scrub the stuffed animal. Wipe the area with a wet cloth until all the soap has been rinsed off. Let it air dry and then fluff with a dry towel or hair brush. Rusty Toys: It’s clearly a safety hazard to have your little one play with old or outdoor toys that have developed rust. If your child just cannot let go of this treasured toy, Reichert recommends soaking the rusted toy in Coke. “Let it sit overnight and the rust will be gone,” she says. A spat or two is bound to happen when your children are socializing with others, but if you notice that your child is struggling with boundaries and appropriate behavior on a consistent basis, it may be time to work on how to play nicely with others. With a few creative strategies, discussions and activities, your child will quickly learn an important step in his overall development. Lefebvre further explains to each child that when you cross that zone, you often feel physically uneasy. “I ask them to pay attention to where they feel this uneasiness in their body and tune into that as a sign that they might be crossing their boundary and need to take a step back,” she says. According to LeFebvre, once the initial exercise is over, she puts herself in the place of the child and steps forward until she has reached her personal space zone. “This helps the child to see that we all have different boundaries and we need to be aware that our boundaries might be different from someone else’s,” she says. It also helps to role play with your child and offer suggestions on what to say when your child feels that someone is crossing his or her personal zone. Boundaries and rules go hand in hand when it comes to play. After teaching your child about physical boundaries, it’s important to discuss how rules play a part in crossing the line socially. According to Nancy Buck, founder of Peaceful Parenting, parents and nannies need to help their children establish the rules and boundaries for how to get along with one another, too. For instance, if both children want to play with a toy, they can choose to play with the toy together, take turns by setting a timer or find another toy of equal value. “The adults can begin by establishing rules and boundaries, but when difficulties arise, essentially when two or more children are trying to meet their need for power by getting their own way at the expense of other children successfully meeting their needs, they all need help in working it out and negotiating the boundaries, creating a balance between safety and freedom where all win,” says Buck. Practicing boundaries and adherence to rules at home sets the foundation for how your child will act and react in social settings with peers. As a nanny or parent, the more you reinforce the need for boundaries, the more likely your child will begin to exhibit stronger social skills with others. Those bedtime stalls with pleas for water, cuddling or just one more book can be frustrating as a parent or nanny, but they can also be a sign that your child is having nightmares and is fearful of falling asleep. Nightmares can be frightful for your little one and cause resistance at bedtime. “When your child has a nightmare, he or she is trying to process something they perceived as negative the previous day,” says Lauri Loewenberg, dream expert and author of Dream on It: Unlock Your Dreams, Change Your Life. Unlock the root of the problem by learning how to soothe your child to sleep and fully understand the nightmares he or she is experiencing. If something troubles your child at night, you can bet you’ll find the culprit by examining your child’s previous day. Did she experience a disappointment, punishment or confrontation with another child? Talking through your child’s problems prior to bed can help put his or her mind at ease before falling into sweet slumber. Getting Eaten: According to Loewenberg, this is especially common for very young children. “While we, as adults may say, ‘You’re so cute I could eat you up,’ to a young child, that is a frightening thing to hear,” she says. “In addition, so many of our favorite fairy tales involve cannibalism, such as Hansel and Gretel and Jack and the Beanstalk.” For older children, this could mean something is really eating away at them, says Loewenberg, such as bullying or taunting by classmates or siblings. The most effective way to get the ghosts and goblins in your child’s dream to scram is to re-write the end of the nightmare, suggests Loewenberg. “Our dreams are a creation of our own mind, therefore we can recreate the dream or nightmare to our liking – even children can do this,” she says. “It’s all about taking control of a situation that made you feel powerless.